Where there is hatred, let me sow love…. Pope Francis gets my vote for the most refreshing and inspiring world leader of the year. He observed a different kind of Memorial Day at the start of this week, visiting Jerusalem, a vital site for three religions. 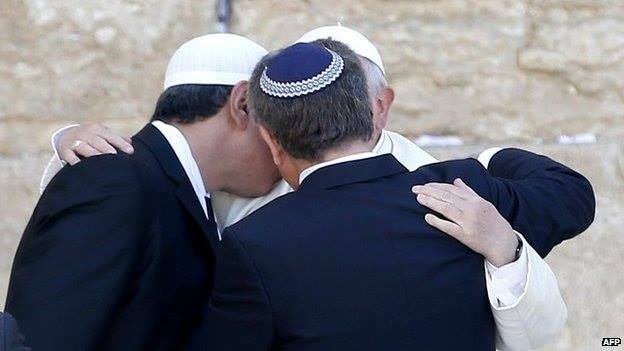 He prayed at the Western Wall and afterwards embraced a rabbi and an imam. He also visited sacred Islamic and Jewish sites such as the Dome of the Rock and Yad Vashem Holocaust Memorial. 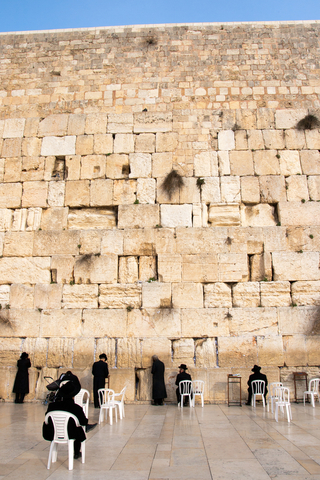 The Western Wall has received centuries of appeals, spoken, written and silent. I have visited all of those sites and found them all intensely moving. The Western Wall is a busy, lively place, but I felt an intense quiet there too when I thought of the centuries of prayers which have been brought there by souls from all over the world. The Dome of the Rock is the mosque topped by a golden dome visible in most postcards of the cityscape. That was the first mosque I ever visited, leaving my shoes in the cubicles outside in the January chill. 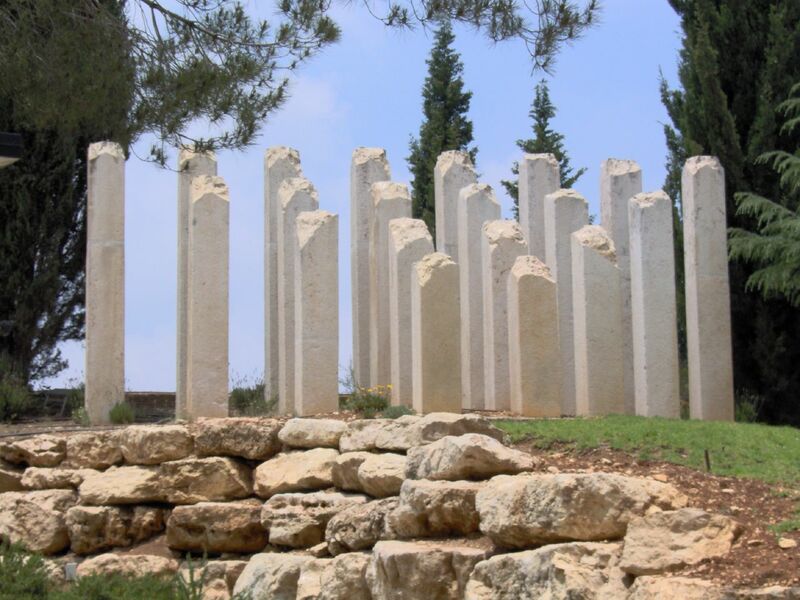 Yad Vashem is an extensive memorial park honoring Jews who died in the Holocaust. The name Yad Vashem comes from the Hebrew text: “Even unto them will I give in mine house and within my walls a place and a name (yad vashem) better than of sons and of daughters: I will give them an everlasting name, that shall not be cut off” (Isaiah 56:5) Truly this is an apt sentiment for Memorial Day. Among the most moving memorials I visited was the Children’s Memorial, designed to invoke an uncompleted construction site to remind us of the lives cut off too soon. Inside a few dozen lighted candles are reflected hundreds of times so that they appear all around you. What might these children have become? Broken off lives are implied by the Children’s Memorial. Another section of the park is a grove of trees dedicated to the Righteous Gentiles, non-Jews who risked their lives protecting victims. I remember seeing trees dedicated to King Christian X of Denmark and Oscar Schindler. This entry was posted in Travel, Uncategorized and tagged Dome of the Rock, Jerusalem, Pope Francis, Prayer of St. Francis, Righteous Gentiles, travel, Yad Vashem. Bookmark the permalink. Amen !! I hope i’ll get the chance to visit Jerusalem one day, seems like a true spirituality quest. Anyhow, i love your articles : keep up. Israel is an amazing trip for so many reasons! I hope you can visit someday. Let me know if I can help. Thanks for writing.